in 2008, i sunk whatever chances i had of achieving my modest goals by partying at clarke quay till 4am. 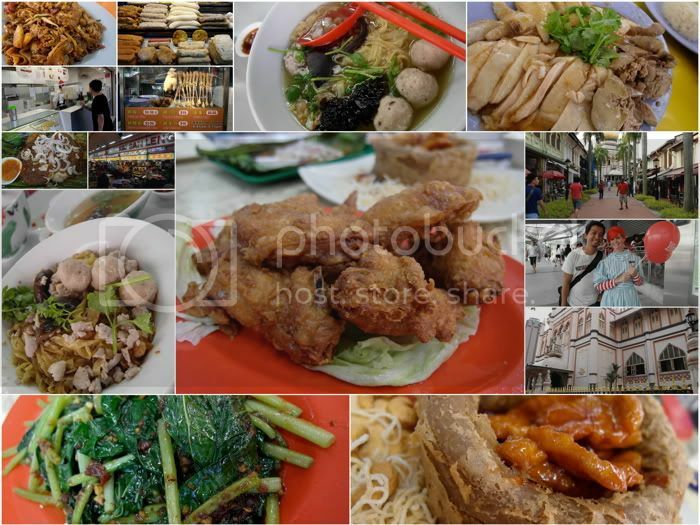 this time around, i got too carried away by my friend brian and his gushing anecdotes about this best of singapore's specialties that i ended this day with 6 meals that would account for the excess carbohydrates i put on for a race that's not even that long. it's just a half marathon, and it isn't my first, and since the beginning, i haven't learned my lesson: i come to the standard chartered singapore marathon without much training. the longest run i've had lately is in excess of 7km. the longest i've had this year was 15km. and that was way back in march. i know it will be another painful run, and i'm almost afraid to resurrect my modest goal of 2 hours and 15 minutes. i might as well just aim to do better than the last time. so it is 6 hours from gun start. let's hope i finish. here goes nothing. but thanks brian. i wouldn't dream of beating a PR in exchange for all that glorious food. already looking forward to tomorrow!